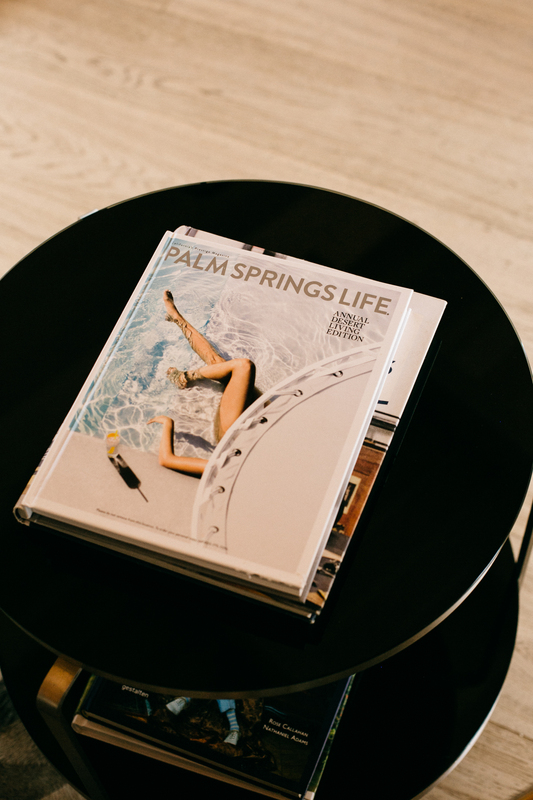 Things To Do In Palm Springs. 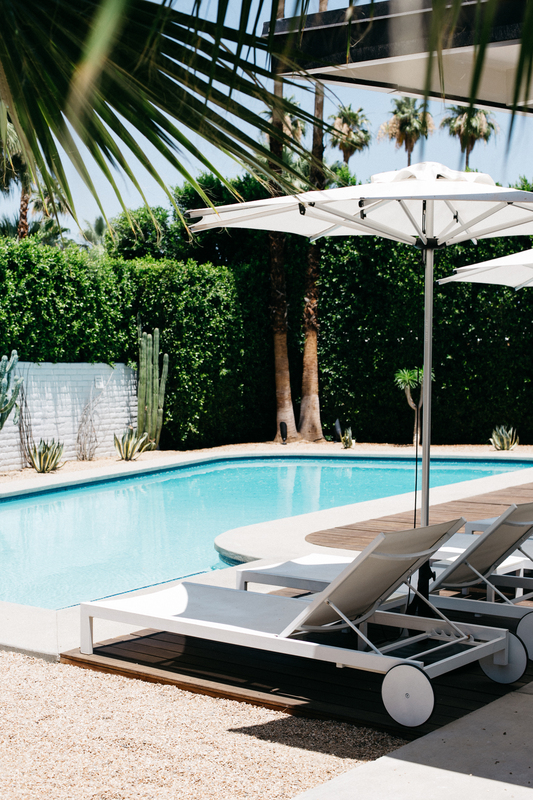 Originally, we picked Palm Springs as a destination during our California trip because it more or less guarantees good weather and since there is not much to do in the desert (or so we thought), it is a perfect excuse to spend the days being lazy by the pool and sipping on cocktails. 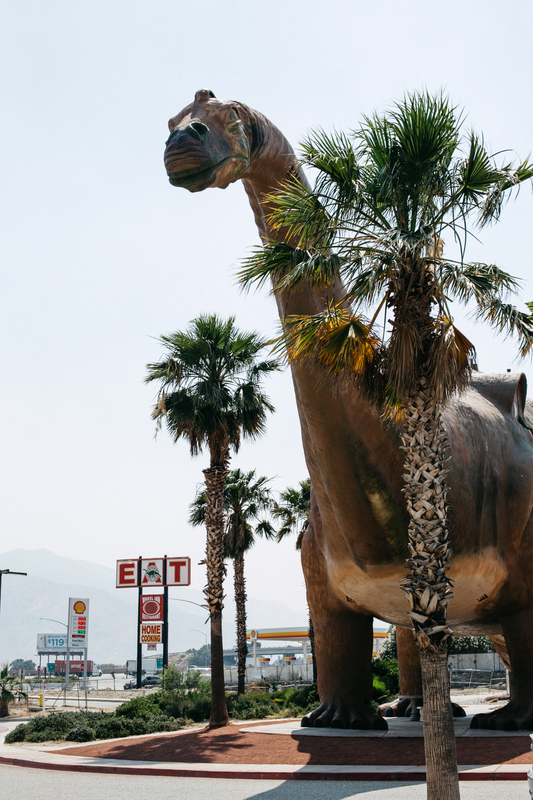 Funny enough though, we ended up finding so many thing to do in Palm Springs, that we left the hotel every day to do some exploring. 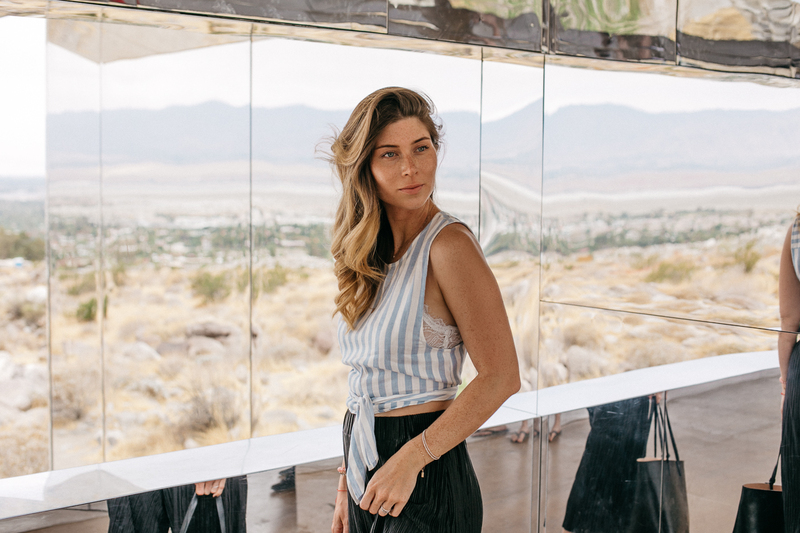 The desert city 100% stole my heart and we are currently already planning our next stay in 2018, which is why I wanted to share some of my personal highlights in Palm Springs with you guys today. That Pink Door: 1100 E Sierra Way. 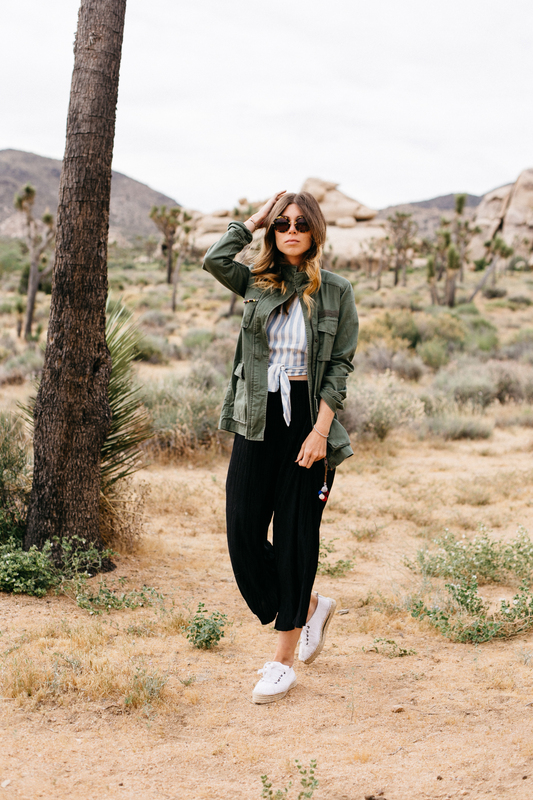 You have probably spotted it on Instagram during Coachella or as a backdrop for bloggers’ outfit shoots. I went running one morning on the hunt for the prettiest door in pink and found it. It really is super photogenic, as is the entire street it is situated on. 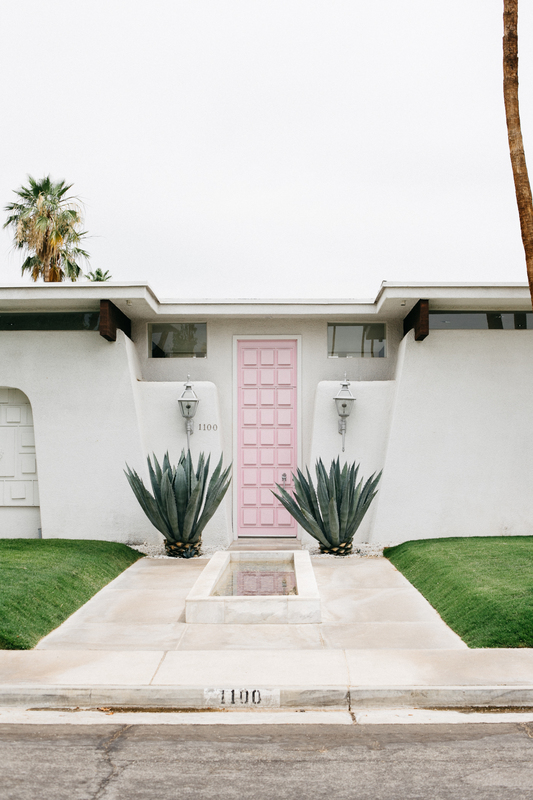 I adore the architecture in Palm Springs and exploring neighborhoods is a definite recommendation. 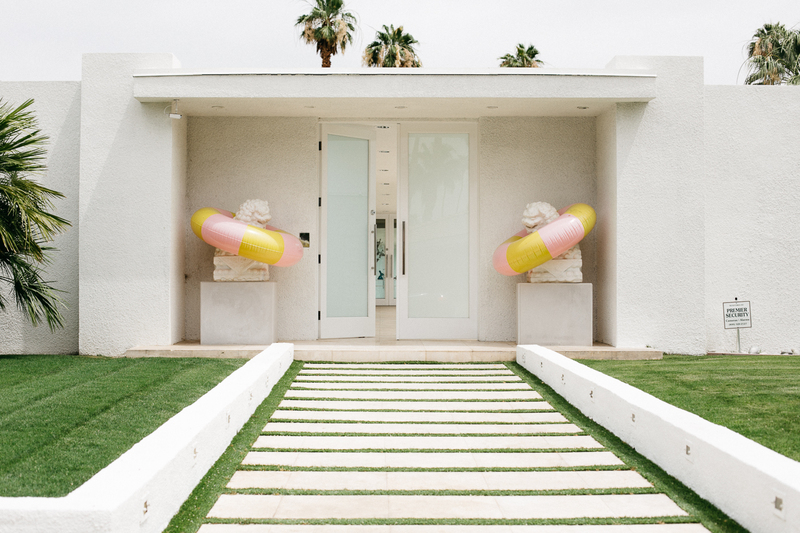 Unfortunately we didn’t have time to take the Palm Springs Modernism Tour (where you actually get to enter some of the houses) but I can’t wait to do that the next time we visit. 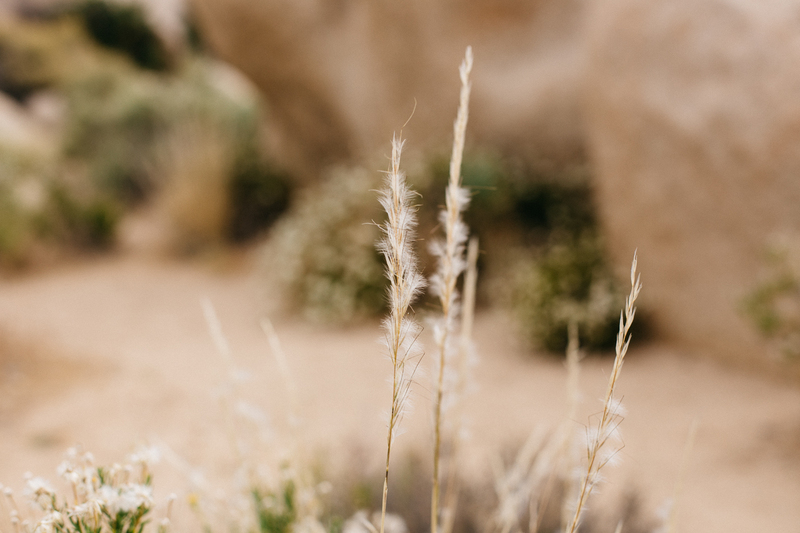 Joshua Tree National Park: Only about 1-hour drive from Palm Springs, you’ll find Joshua Tree National Park, which is a must-see if you have a few extra hours to spare. We left the hotel at 7 am and were in the park by 8:15. The landscape is stunning and great for a hike. Palm Springs Art Museum: Not one of the most impressive museums I have ever seen but they did feature some real gems such as work by Bertoia, native American art and a cool sculpture garden. Plus it was a great way to escape the lunchtime heat. Free admission every Thursday from 4-8 p.m.
Desert X “Mirage”: This was my personal highlight and unfortunately also something that is not permanent. 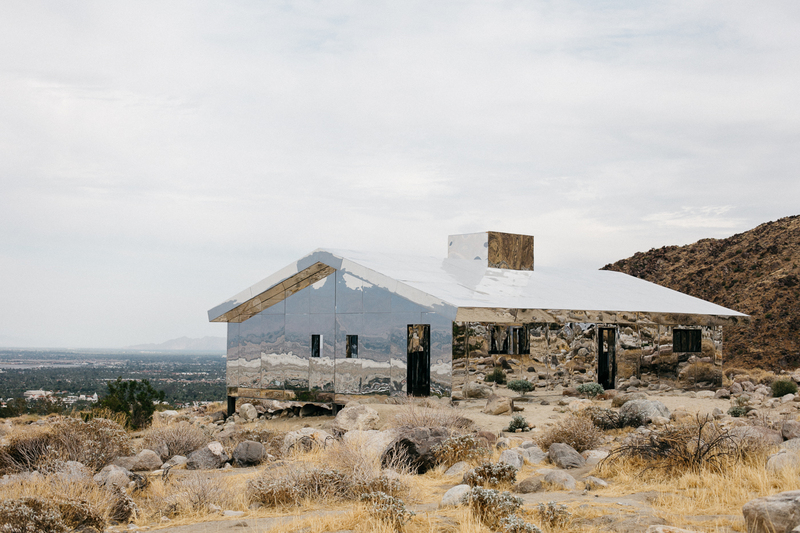 Part of the Desert X exhibition, the mirror house by Doug Aiken is one of 16 artworks scattered around the Coachella Valley as part of the contemporary-art festival organized by curator Neville Wakefield. 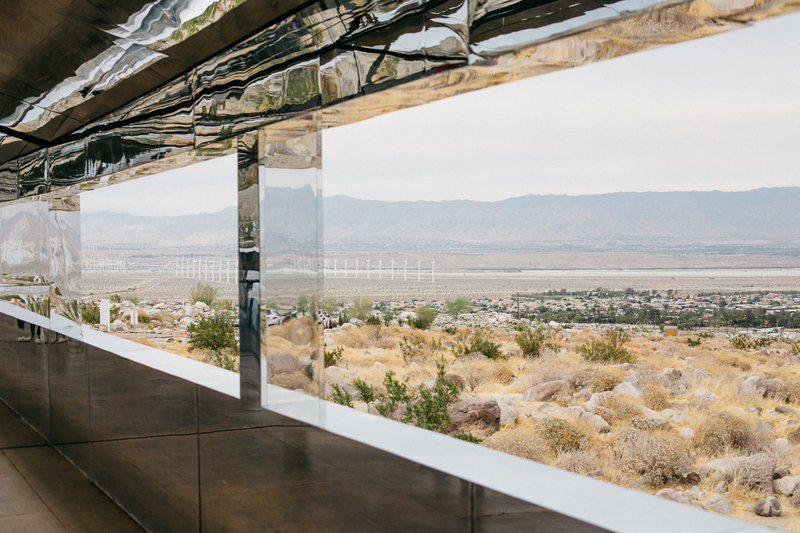 The optical effect the mirrored surfaced have is simply stunning, as is the view over Coachella Valley. Unfortunately the exhibition is already partly over and the house will only be available to visitors until October 2017. 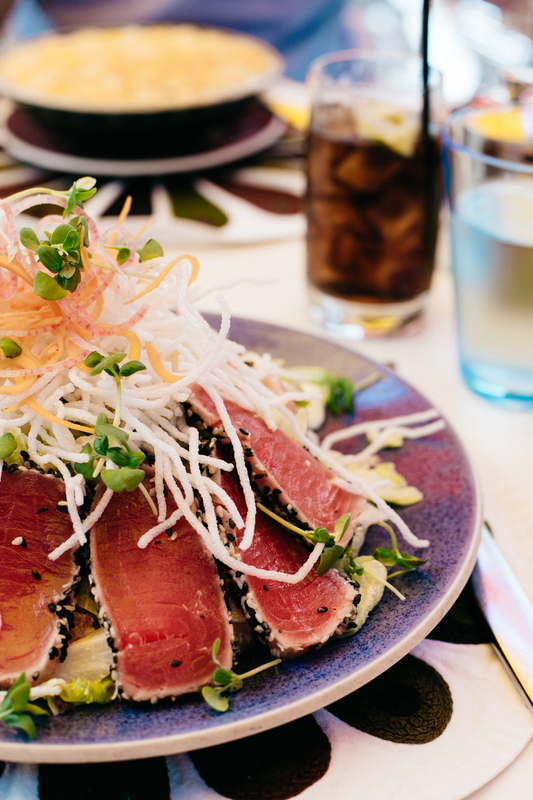 Food: We tried a different restaurant in Palm Springs every day and I have to say, most (or actually all) were amazing. 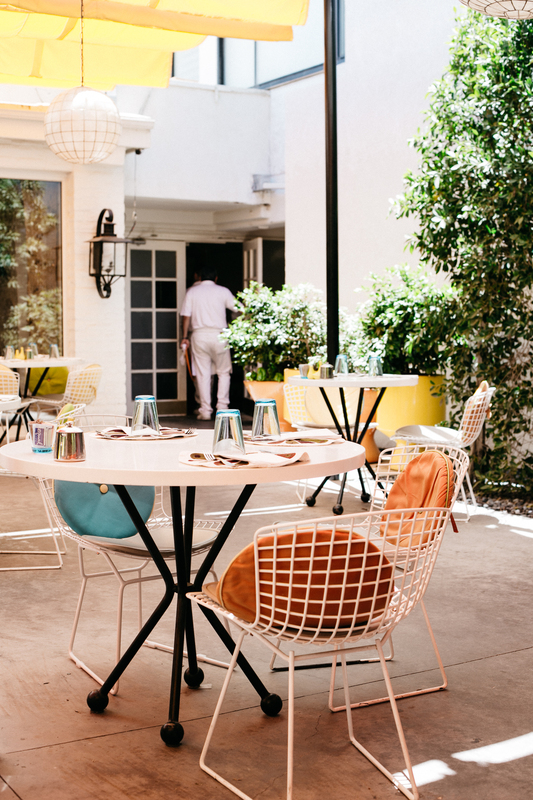 Our hotel’s very own SO•PA is all-outdoor venue and you have to try the gazpacho, go to Mr. Lyons for incredible steak and a beautiful interior, the Workshop Kitchen + Bar located in an old movie theatre and with a farm-to-table approach, Cheeky’s for breakfast (Huevos Rancheros!) 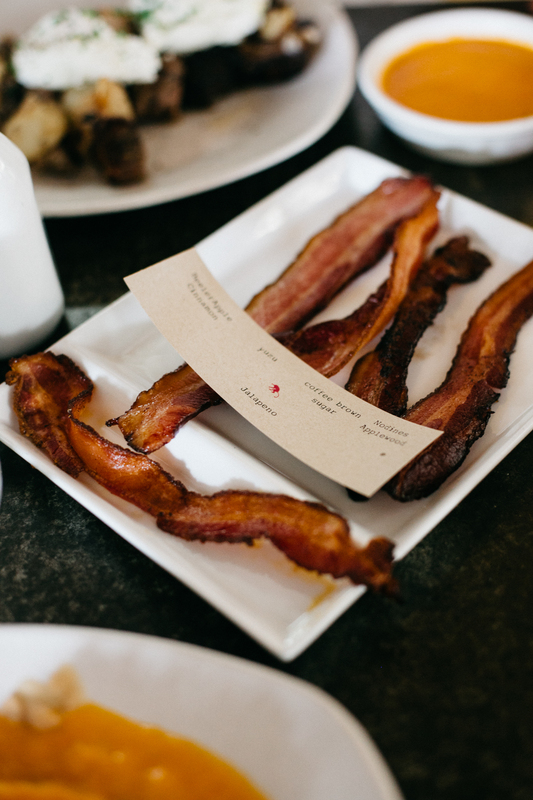 Norma’s at The Parker for brunch or lunch (although super pricy) and Raw Remedy Juice Bar for a green smoothie. 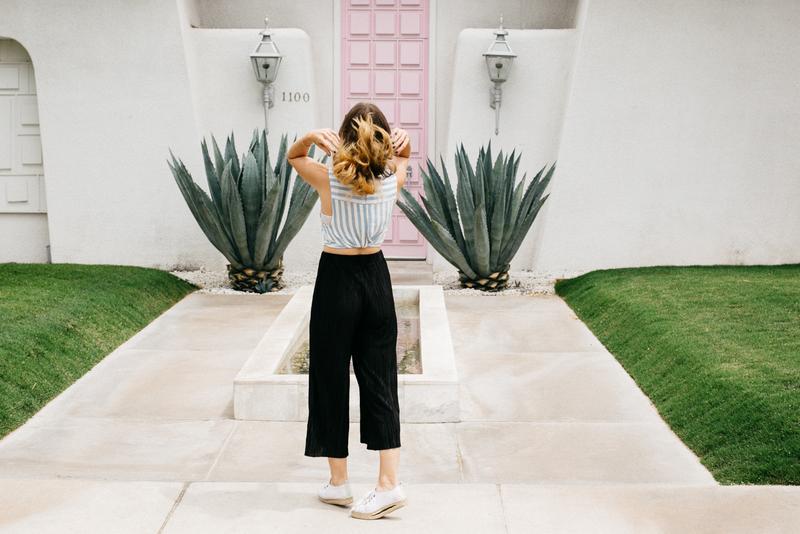 Die rosa Tür ist ja echt super instatauglich – Palm Springs habe ich bis jetzt auch eher mit trockener Wüste assoziiert. 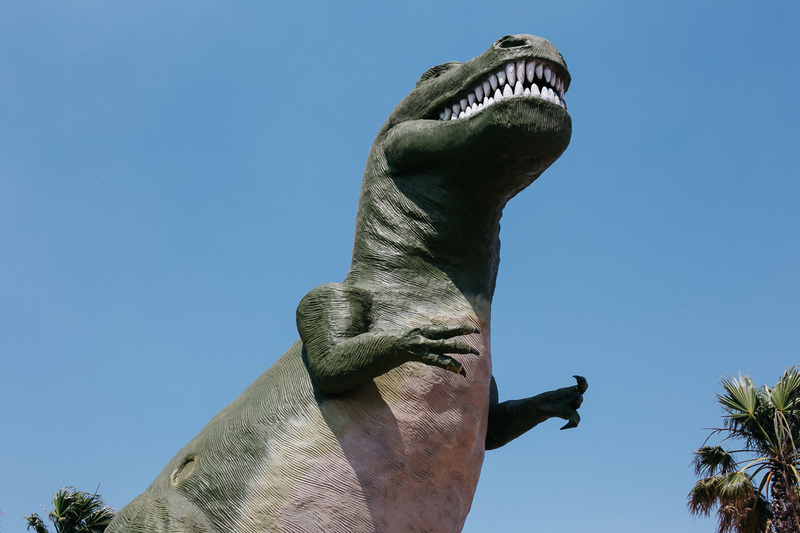 dein ausführlicher Bericht und die tollen Fotos machen aber echt Lust auf einen Urlaub dort. So schön! Und Danke für die Tipps! 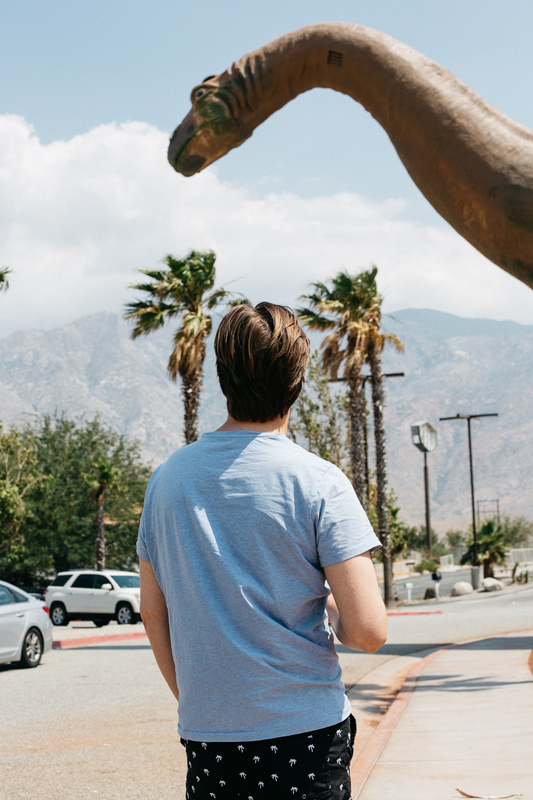 Ich habe auf meiner California Reise Palm Springs nicht geschafft, aber jetzt wo AUA LA direkt anfliegt, werde ich für 2018 wieder mal was planen. Plam Springs und Hawaii sind jetzt auf meiner Liste.